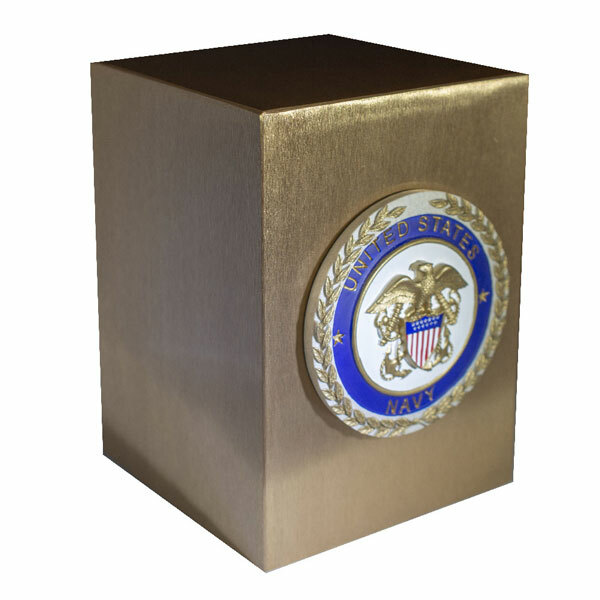 Bronze urn with satin finish and official United States Service Emblem appliqué; Army, Navy, Air Force, Marines, Coast Guard or American Patriot. 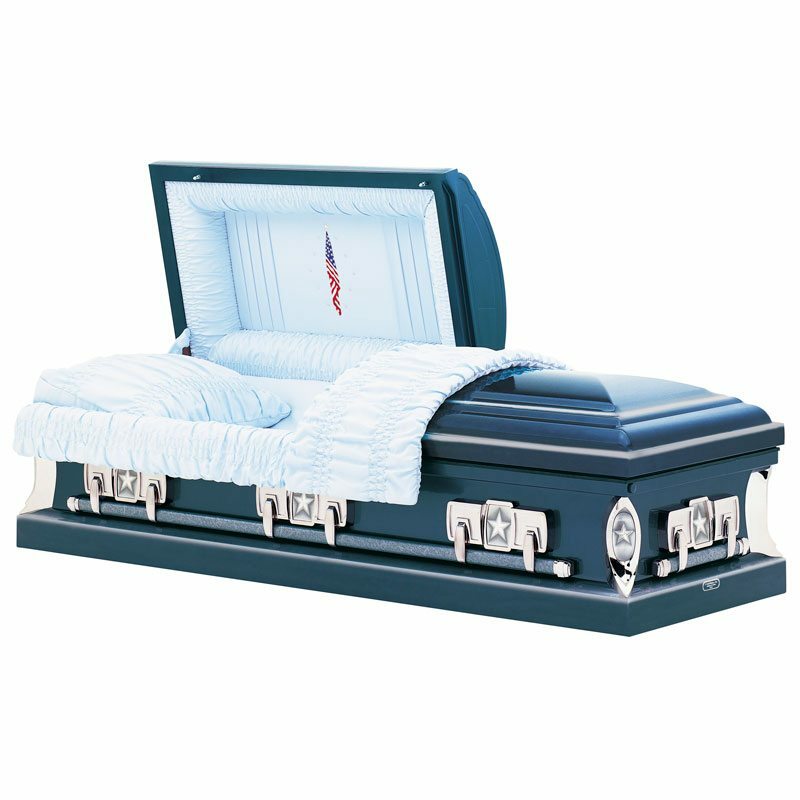 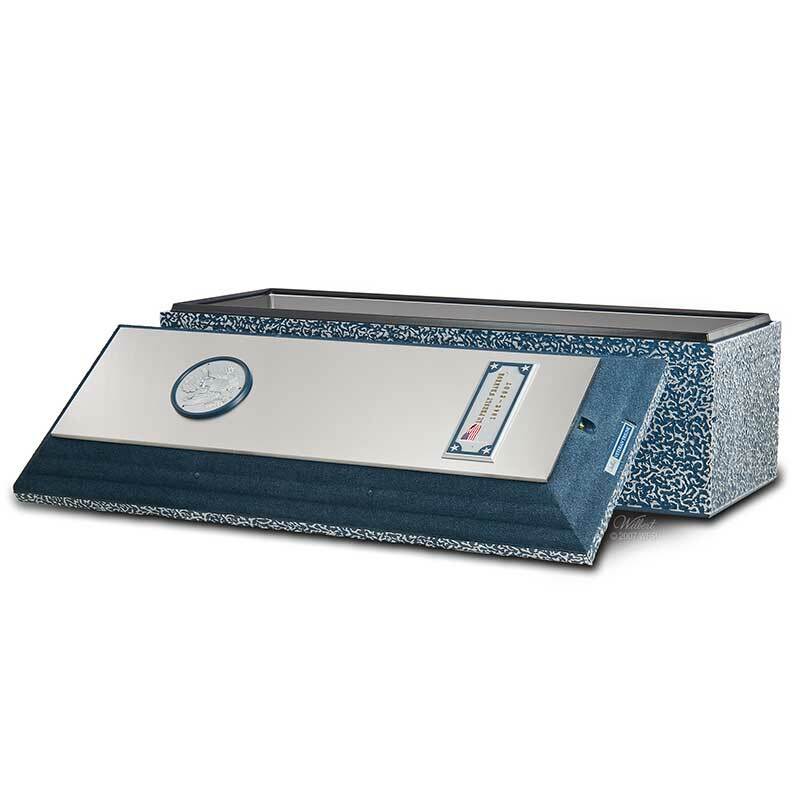 For veterans, we can customize the inner panel of any casket to include a panel with the branch of service that the veteran served, including Army, Navy, Air Force, Marines, and Coast Guard. 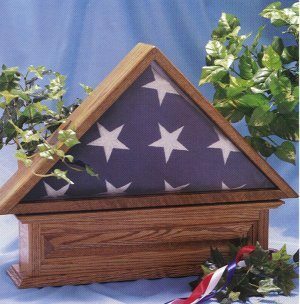 The casket selected by the family would be fitted to include this color panel with the emblem for the appropriate branch of service. 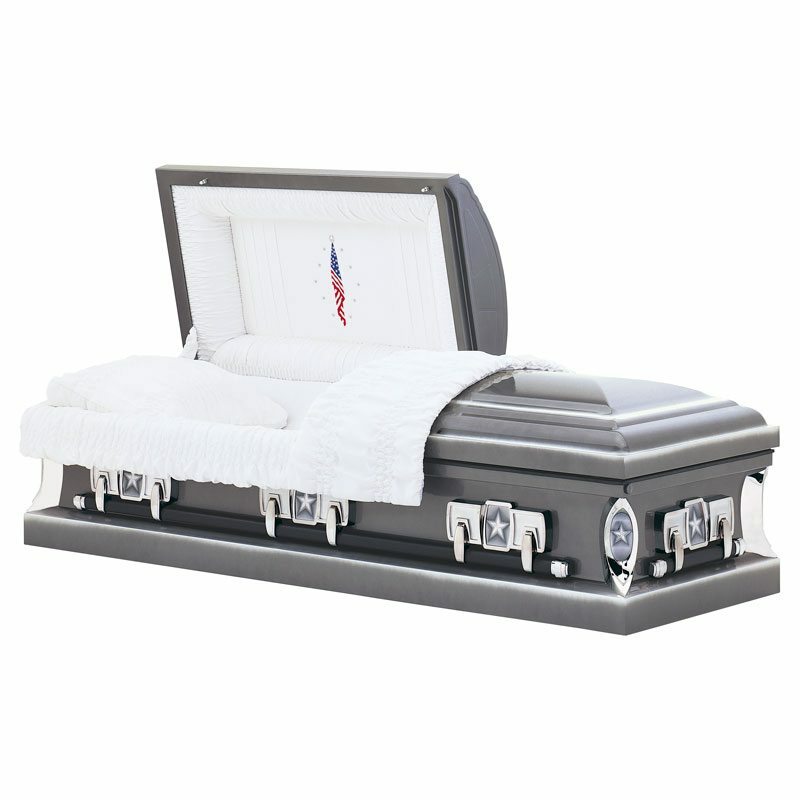 The panel is removable, if the family decides to keep it. 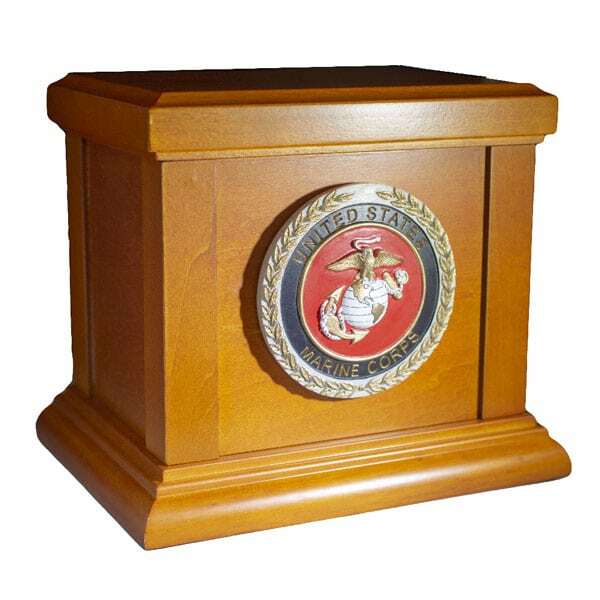 There is no charge for this custom panel, as we provide this as a free service to honor those that proudly served our country.